If you’ve ever watched the news, you’ll know Craigslist users are increasingly dealing with a sketchier and sketchier world. A recent “prank” video pulled from YouTube features two “social experimenters” kidnapping two people looking to sell their iPhones via Craigslist. Ethan and Moe Bradberry targeted two different people, hired three thugs to chase them down at a pre-arranged buy and then essentially kidnap them. Crazy antics aside, Craigslist buyers and sellers increasingly face scary, uncertain situations where they have to trust that a complete stranger will not ambush them and turn a seemingly innocent interaction into a straight-up armed robbery like what happened this month in Tyler, Texas. For that reason, even though we carry concealed to these private sales events, let’s talk about some tips to minimize the threat. Police stations are increasingly making space in their parking lots for those wishing to exchange goods and services in a monitored location. These spots are usually located in direct view of one or more surveillance cameras and ensure that if anybody pulls anything funny, police will be able to identify and prosecute the suspect. Even if that doesn’t appear to be your cup of tea, definitely consider meeting in a public, visible location. Robbers have used this to their advantage, though. Recently, an armed robbery took place in a Walmart parking lot — long considered the bronze standard for Craigslist buys/sells — and the robber actually used other vehicles to make it harder to pursue him. Private sales are a little less scary if you know the other person you’re talking to is actually who he or she says he is. Authenticating a person’s identity can be as simple as offering to show each other each person’s state-issued identification. That way, at a minimum, you know the person you’re dealing with is who he pretends to be. A person who offers up his actual identity before robbing someone of something is either a complete idiot or really misses the inside of a prison cell. When going to make a big ticket purchase like a computer, iPhone, or vehicle, take a friend or two. Having another buddy along for the ride — especially another concealed carrier — can be an added bonus if the situation turns dire. Plus, it’s another set of eyes and ears to keep watch out for you while you’re interacting in the private sale. You’d think having your gun openly displayed would be a deterrent for a potentially armed robber. Think again. 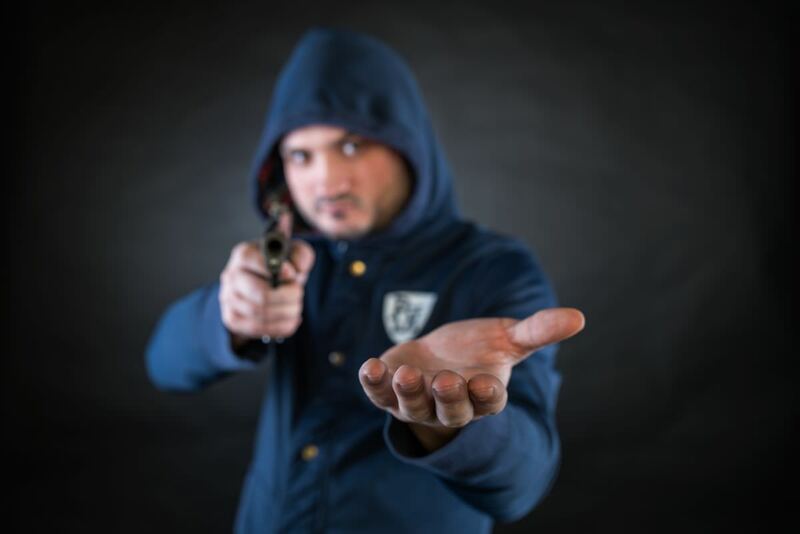 When an armed robber sees you have a gun visible on you, he already knows the greatest threat you can bring to bear against him. It also means that if his buddies get the drop on you in the middle of a buy, they automatically win themselves a new pistol. There’s no need to give criminals an advance warning. Keep your firearm concealed until you plan on using it. It’s a kinder part of human nature to want to preserve life — even life that may have attempted harm upon us just moments before. As such, concealed carriers constantly get stuck in the dilemma of whether or not to employ their handgun in a potentially violent situation. We can’t advise you in this regard but what we will tell you is don’t get stuck in the middle. Don’t brandish your gun unless you intend to use it to defend your life and your property. Don’t chase down a suspected thief or fleeing attacker. Don’t get stuck wiggling in the gray zone. Act or don’t act. Many of us are always looking for a deal. But is it really worth getting robbed or putting your life at risk to save a few bucks? Before you meet up with a private seller that you don’t know, search around to see what other deals you can find without having to meet them face-to-face. Check Amazon, eBay, and other bargain websites. You may be surprised that you can find a similar deal and have the item shipped to your house. Even if it costs slightly more, it could be worth saving you a trip to meet someone you don’t know where things can potentially turn bad. We are not recommending that you don’t use these types of sites. I have personally sold some furniture through Craiglist after we moved. Just be smart about it.